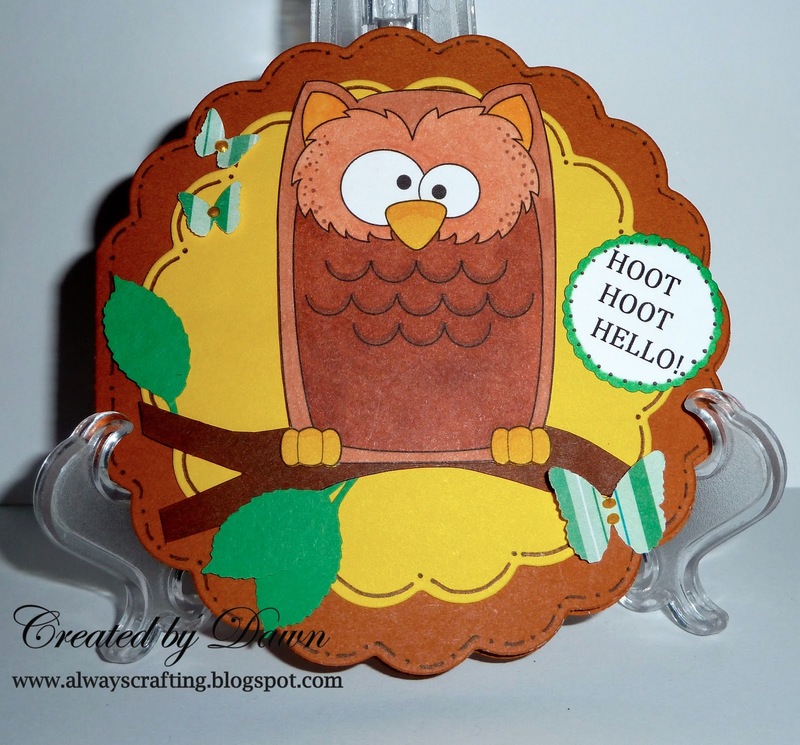 Always Crafting: Hoot Hoot Hello! Happy Wednesday Everyone! Today I am posting a hooty owl card. Isn't he cute! This is another image from one of my favorite stamp designers Melyssa! Melyssa, is the genius behind Whimsie Doodles! Make sure to check out Whimsie Doodles images here! Very cute card Dawn! I just love Whimsie Doodles!